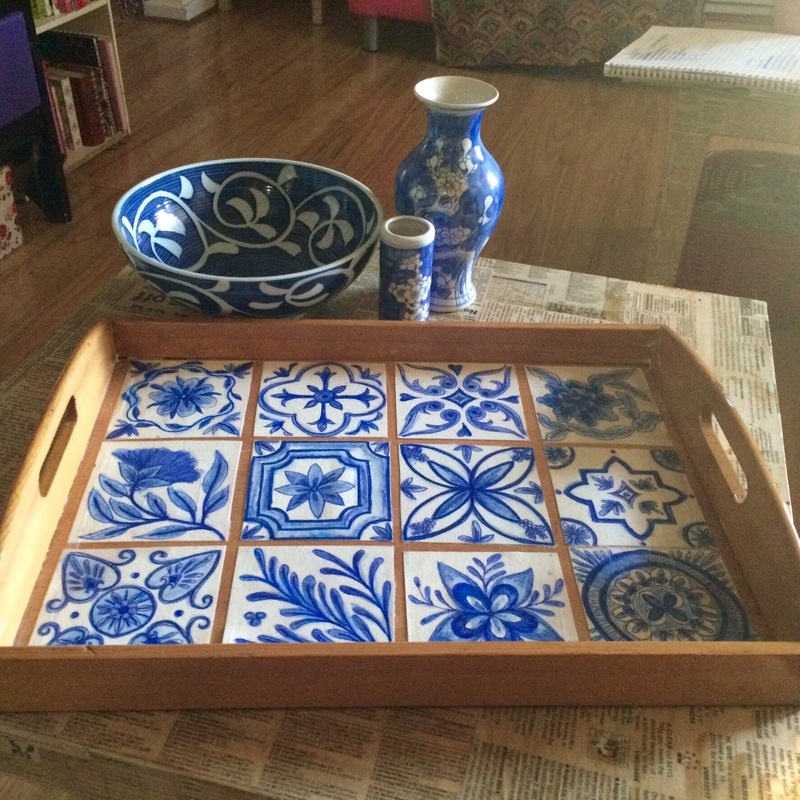 In all my Pinterest-trawling of beautiful blue and white ceramics I came across this gorgeous blue and white tile tray (see photo at the bottom of this post) It was love at first sight, and I figured I could make something similar. 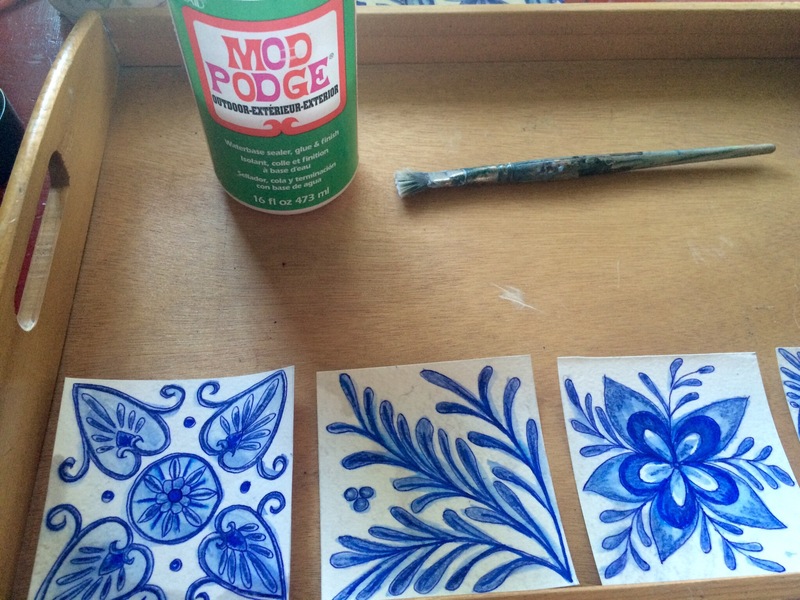 This was a pretty straightforward upcycle using decoupage. 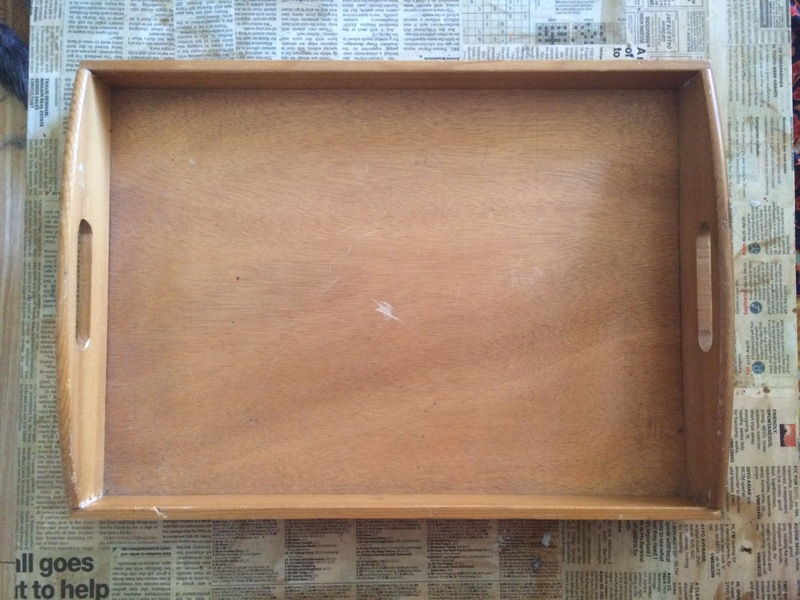 I started with this tray I picked up at the op shop a few months ago. 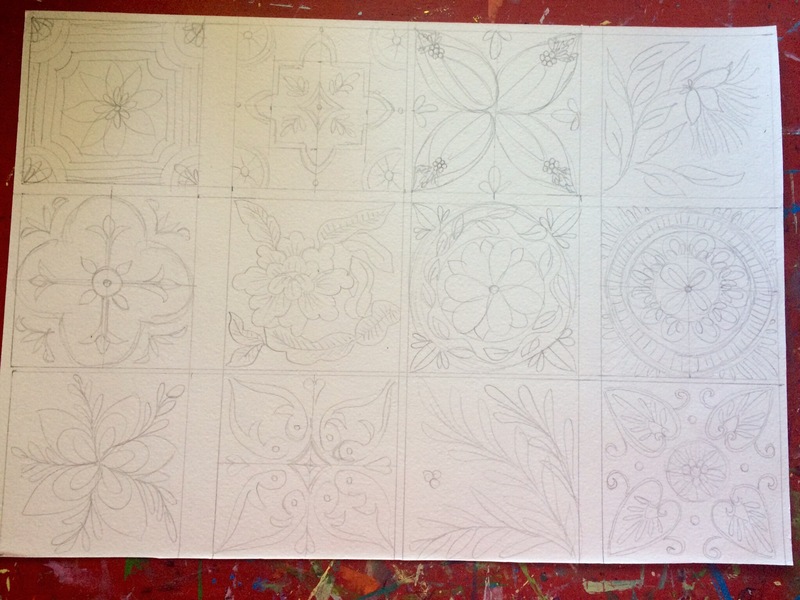 I started by drawing some 90mm x 90mm squares on a piece of thick watercolour paper. 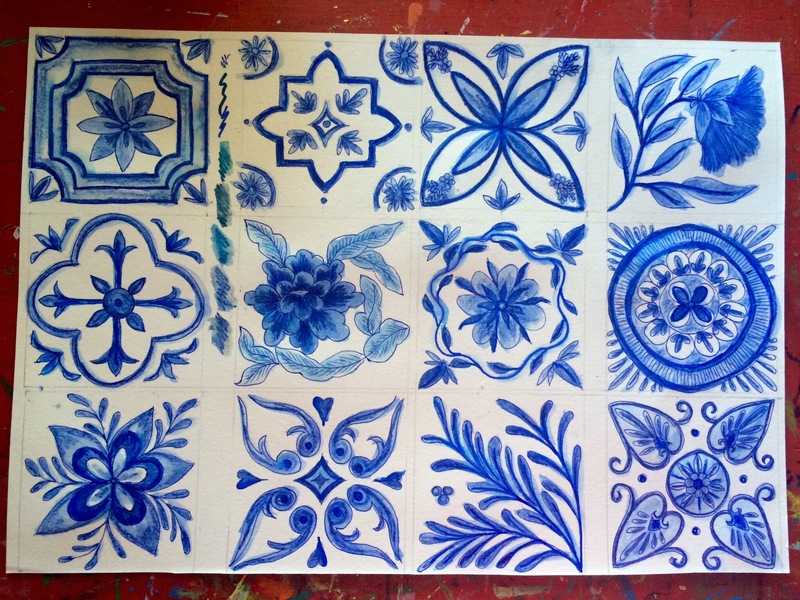 Then I copied or created blue and white tile designs onto the squares. 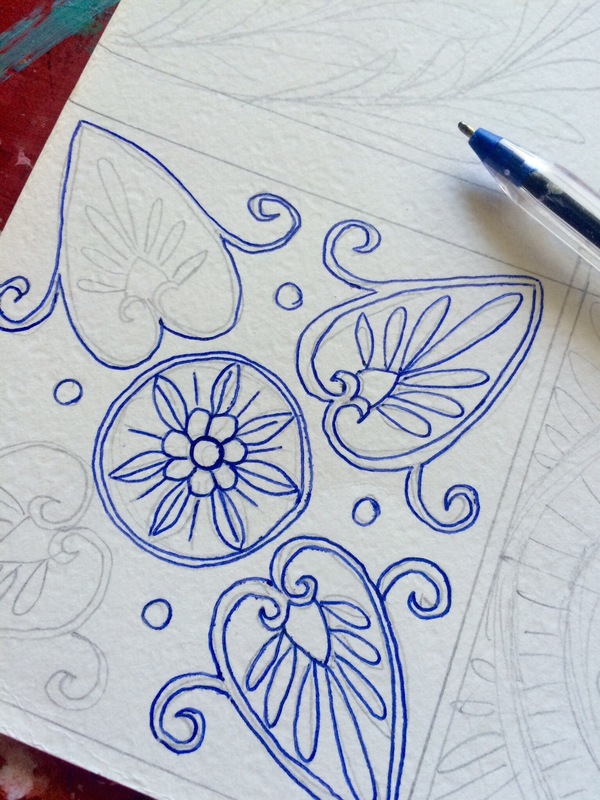 I copied over my pencil lines with a biro…. Frodo decided he could help. Then I coloured them in with textas and watercolour pencils. Then I gave the paper a few coats of acrylic gloss spray. The reason for this is my glue (Mod Podge) is water based and would wash off or at least smear my water-based-drawn images. The spray is oil based, and prevents any smeariness. 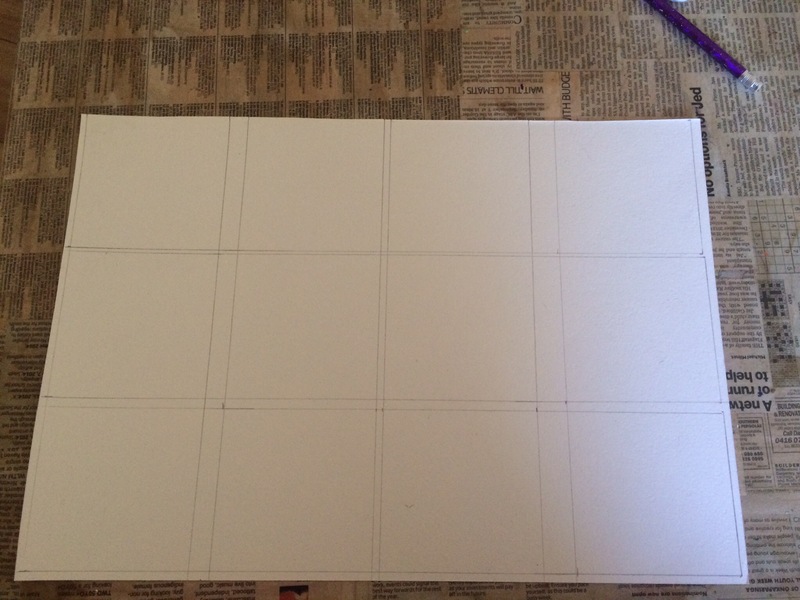 Then I cut them into their squares…. And glued them onto my tray. I used outdoor mod podge for this because it is thicker than normal, and strong enough to keep the thicker paper glued down. Then I just varnished over the top! But I’m happy with my copy! 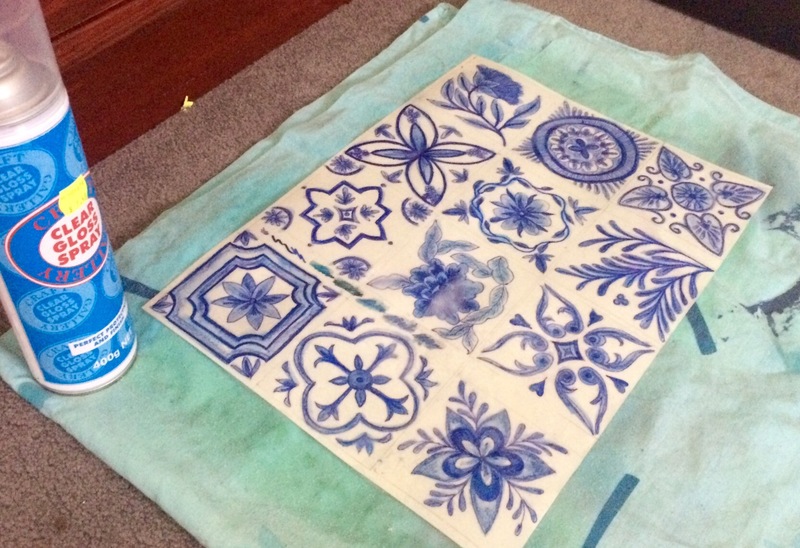 This entry was posted in Craft Projects, Home DIY and Decor, Op Shopping, Upcycled Projects, Upcycling and tagged blue, china, craft, decoupage, drawing, op shop, painting, project, recycled, recycling, thrift, thrifting, tile, tray, upcycle, upcycled, upcycling, white. Bookmark the permalink. Wow! You did an amazing job! I’m super impressed!!! And a fraction of the cost! Thank you!!! Yep, this cost around $4.50, and it’s certainly got the same feel as the original inspiration. Glad you like!!! Blue is my favorite color so I’m in love! Omg! I love this! 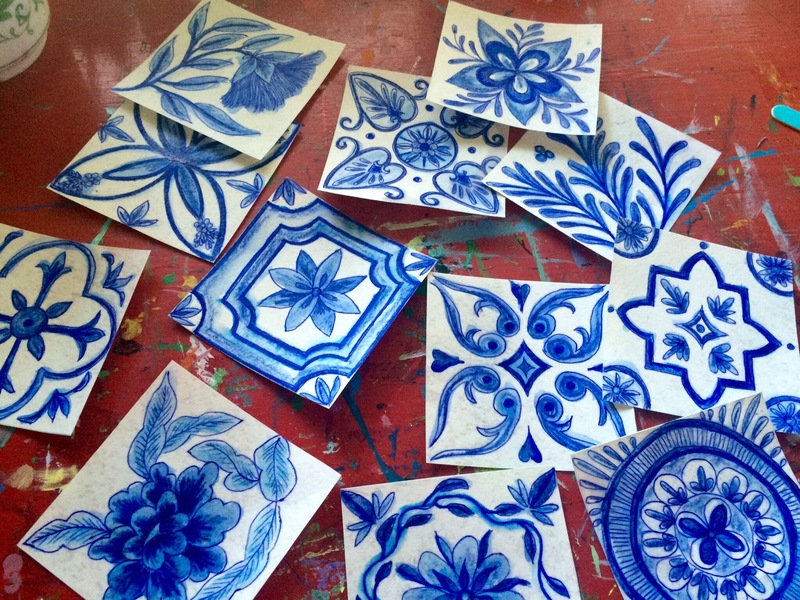 Once I began reading and found out they weren’t tiles, I had to go back several times and stare at the picture because I wasn’t convinced they weren’t tiles! Job well done 🙂 I love upcycling, there’s a certain kind of satisfaction in repurposing and recreating, especially at a fraction of the cost. Ha! That brought such a smile to my face, thank you! Thanks heaps for following my little blog! 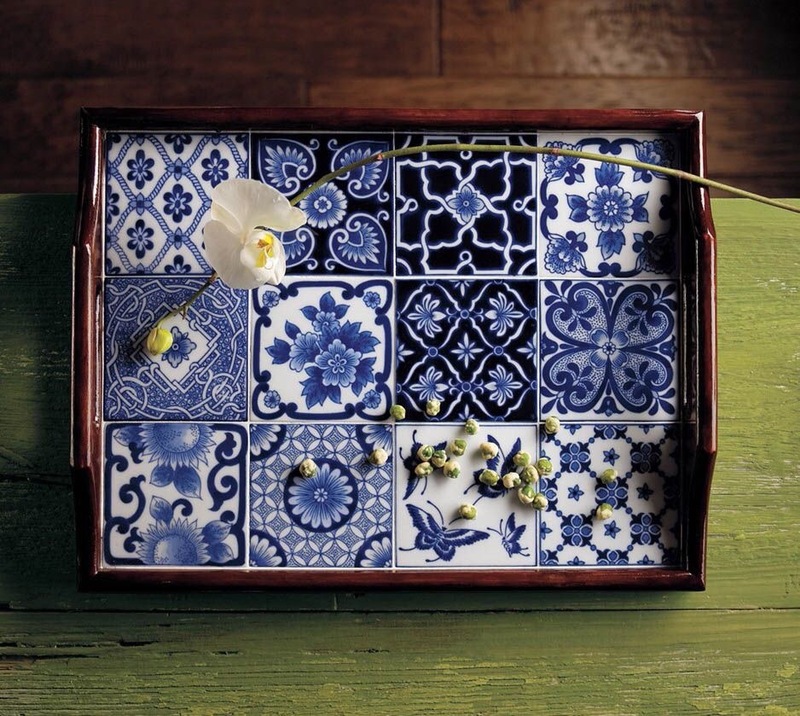 What a beautiful tray! Great idea! 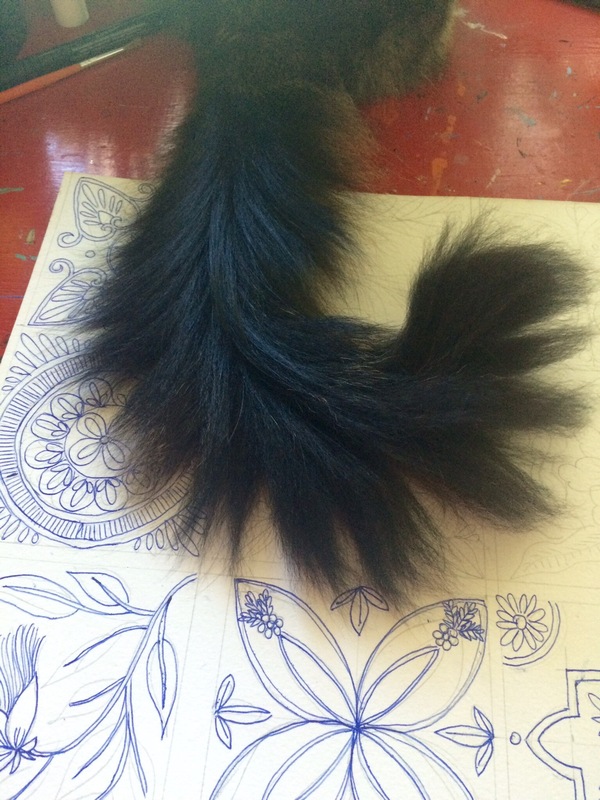 That fluffy tail makes me smile every time. where d o I find a design template? would make great gift with matching coasters. 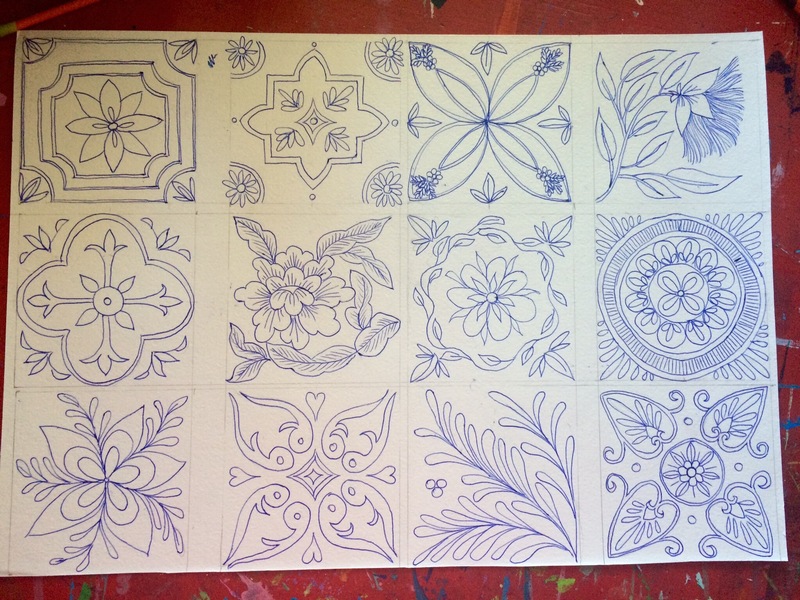 I haven’t put together a design template, I originally just drew these freehand as I did it. Leave it with me and I’ll see what I can come up with! This will make a great family project! I really love the craft idea but I am all thumbs when it comes to drawing. Therefore, some simple design templates would be VERY much appreciated. No problem, I’ll work on it and let you know when I’ve put them up on the site! Thank you very much for the sketches! Yes, thank you, Axie! 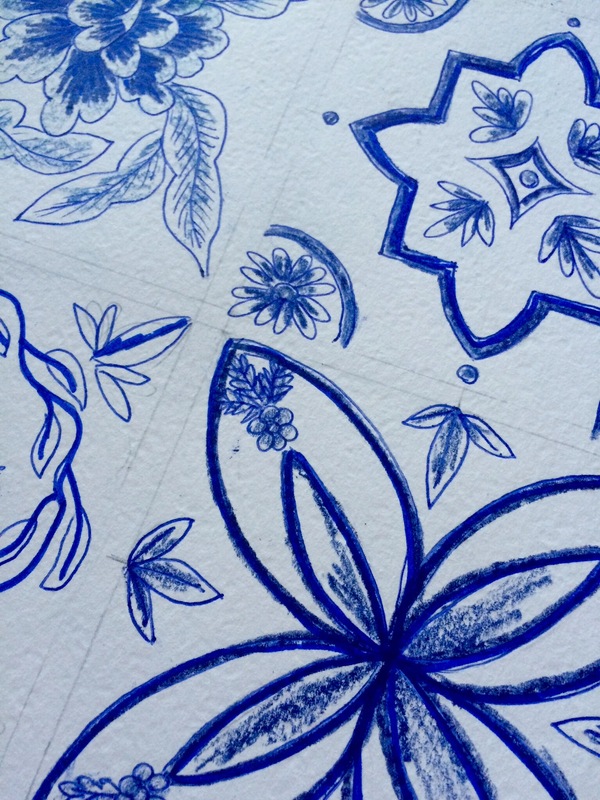 Your sketches are fantastic and so easy for non-artists (such as yours truly) to copy. I’m still smiling at Frodo’s tail; that photograph deserves more recognition. Cats of Instagram, perhaps?